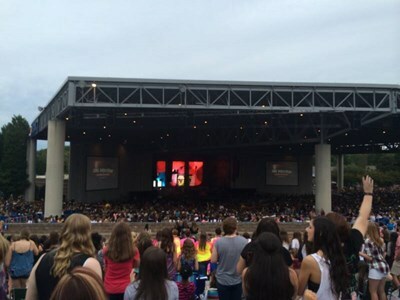 PNC Music Pavilion (originally Blockbuster Pavilion and formerly Verizon Wireless Amphitheatre) is an outdoor amphitheater in Charlotte, North Carolina, that specializes in hosting large concerts. The venue largely replaced the Paladium Amphitheater at Carowinds as the premier outdoor venue in the Metrolina region. It was renamed under a new naming-rights deal with PNC Bank. This description uses material from the Wikipedia article on PNC Music Pavilion and is licensed under the Creative Commons Attribution-ShareAlike License (view authors).